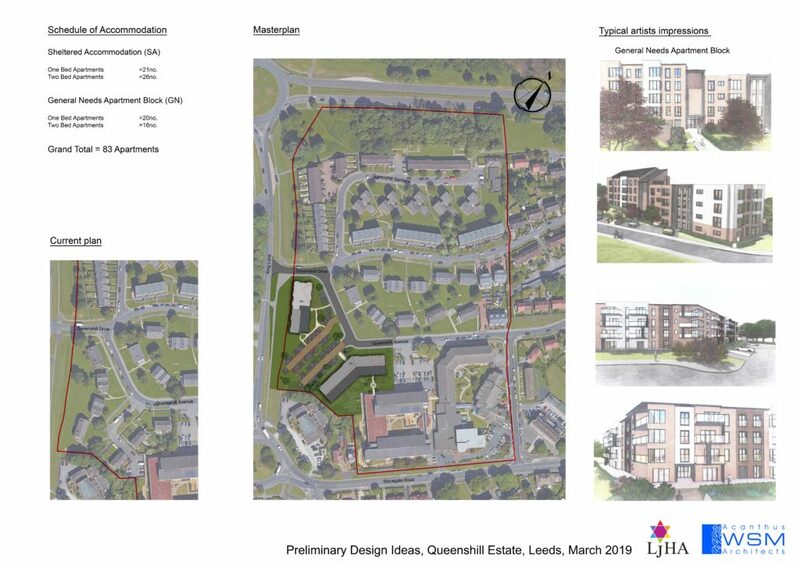 Leeds Jewish Housing Association are currently talking with its residents and neighbours on plans to redevelop part of its Queenshill Estate in North Leeds. The Association, which celebrated its 65th Birthday last year, owns and manages some 484 homes in the Alwoodley and Moortown areas of Leeds. 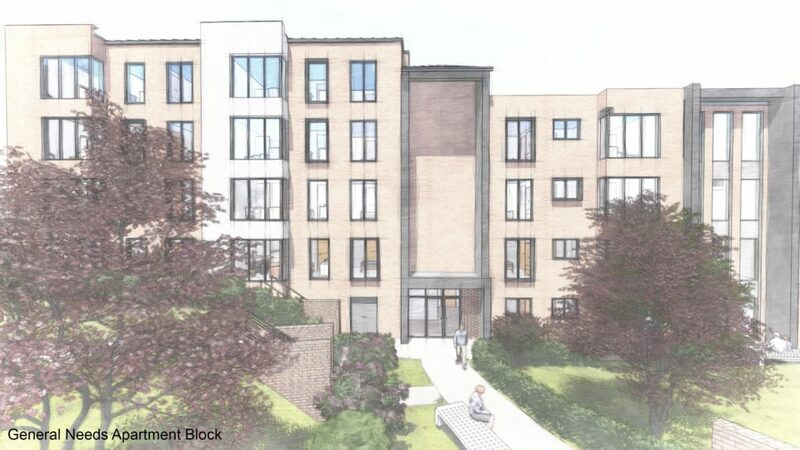 Kate Pearlman-Shaw, Chairperson for LJHA, “providing an increasing number of homes for the Leeds Jewish Community is one of our key strategic goals as an organisation and as such we’ve been considering our options over the past months”. Strong demand for specialist supported housing for older people. Architects therefore have been engaged to develop practical ideas and solutions leading to this public consultation. 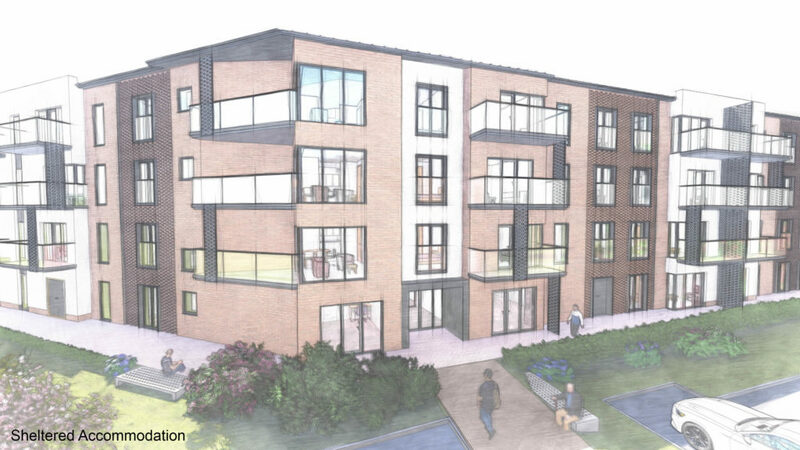 These being a proposed 47 unit sheltered scheme for older people and a 36 unit general needs apartment block, 83 new homes in total. 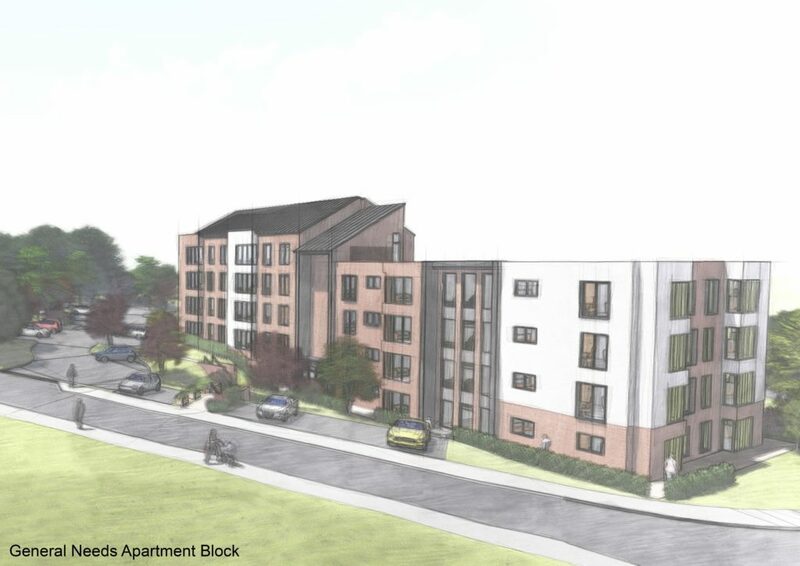 The first stage of this process is now open consultation, first those 22 most directly affected tenants then with other tenants, neighbours and the wider Jewish Community, seeking feedback on their thoughts and aspirations for the area before taking any further steps. Should the plans turn into reality physical development would be at least 12 months away but this is certainly a hot one on locals lips now. 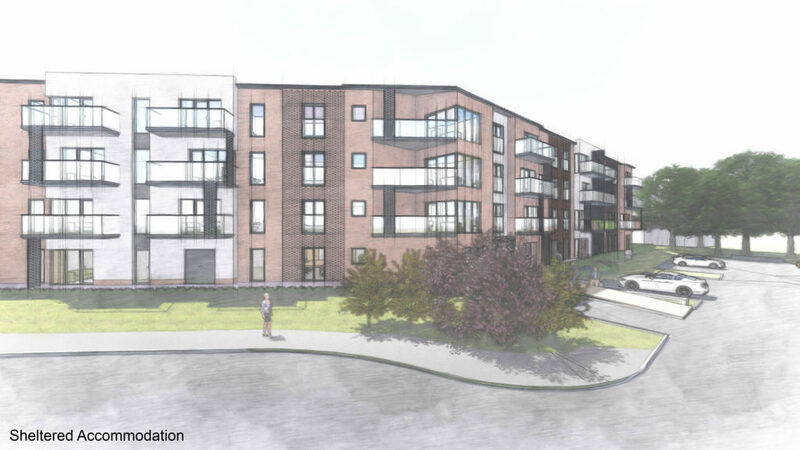 We are giving the community the chance to provide feedback on this development via a short survey here. Please follow the link below (or copy and paste it in your browser) to share your views with us.